Rajinikanth to romance Keerthy Suresh-Nayanthara in 'Thalaivar 166'? 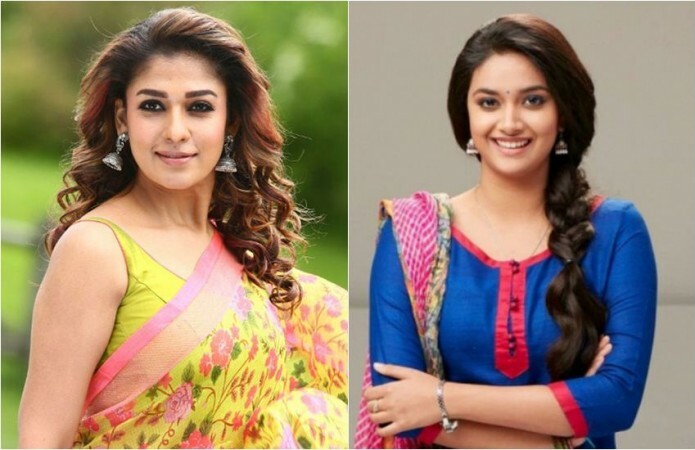 Keerthy Suresh and Nayanthara have been roped in to play the female leads in Rajinikanth's next movie with AR Murugadoss. Rumours have been doing rounds that Keerthy Suresh and Nayanthara were in race to play the female lead in Rajinikanth's next movie. Now, the latest reports say that both the actress are part of the movie, directed by AR Murugadoss. Reports on Tamil media say that Rajinikanth will be seen in dual roles in the untitled movie, which is presently referred to as Thalaivar 166. If the speculations doing rounds on internet are to be believed, Rajini will enact the characters of a cop and a social reformer in the film, which is expected to be made in multiple languages. Nayanthara and Keerthy will romance the two roles of Rajinikanth. Interestingly, the superstar's recent movie Petta had two female leads (Simran and Trisha). However, only Simran had a lengthy role, while Trisha did an extended cameo. If true, Nayanthara will be working with Rajinikanth for the fourth time after Chandramukhi, Kuselan and Sivaji (cameo). Whereas Keerthy Suresh's dream to work with the superstar will come true with this flick. The movie is yet to be formally announced. However, Santosh Sivan had announced recently that he has signed the movie. "Finally very excited to work with Rajini Sir after Thalapathy . [sic]" he had tweeted. On the other hand, Anirudh Ravichander, who composed music for Petta, has been brought on board for this movie and he has confirmed the news in an interview. "As of now, Indian 2 and Murugadoss sir's film (with Rajinikanth). These two are my Tamil projects, and I have one in Telugu (Jersey, starring Nani)," he told The Times of India while talking about his forthcoming projects. Thalaivar 166 is produced Lyca Productions, which funded Rajinikanth and Akshay Kumar's magnum opus 2.0.